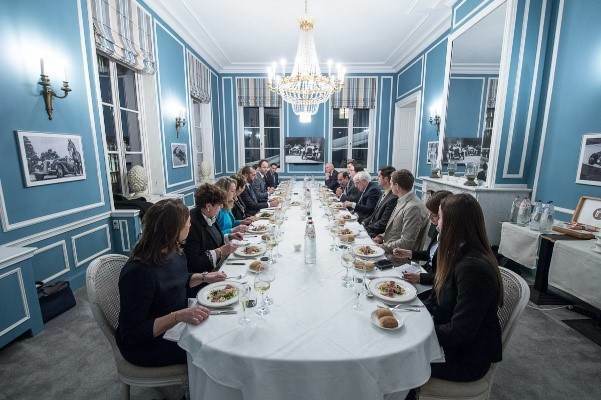 ELNET-EU & NATO together with the GMF organized a Cyber Security and Defense roundtable on how to strengthen potential EU/NATO cooperation with international partners, including Israel. On this occasion, ELNET-EU & NATO invited two high level experts from Israel, Ram Levi and Deborah Housen-Couriel, both specialists in the field of Israeli cyber security. Ram Levi is the former Secretary of Israel’s Prime Minister’s National Cyber Initiative Task Force that spearheaded the government resolution on establishing the National Cyber Bureau at the Prime Ministers’ Office and currently acts as cyber security advisor to Israel’s National Council for Research and Development. Next to his experience in and with the government, Ram Levi is the founder and CEO of Konfidas where he advises leading organizations in cybersecurity, GDPR, risk management training & capacity building. Deborah Housen-Couriel is an Adjunct Professor at the ICT (IDC Herzliya) working on cyber research. From NATO, we hosted the Assistant Secretary General for Emerging Security Challenges as well as a high level Cyber Security Representative from the External Action Service of the EU. Cyber security is a priority for the Israeli government and was pushed early for its progress on both political and military level. Likewise, the current prime minister (PM), Benjamin Netanyahu, has made cyber security one of his trademark issues and is a big promoter of the idea that better network defences are essential for national security and for the industry serving as a driver for economic growth. Over the years Israel has therefore developed as the second cyber hub after the US. The country has more than 300 cyber security companies and exports of $6 billion in the cyber industry. The crucial development and understanding thus was the comprehensive vision of the cyber phenomenon establishing and reinforcing especially critical infrastructure in the financial, military, energy and space sector much earlier than other international partners. The speakers analysed that this partly came due to the geopolitical strategic situation but also as a result of Israeli culture and values. The speakers from Europe in turn focused on the challenges and developments at NATO and within the EU so that all participants could gain meaningful insights into latest developments. The discussion touched upon the developments of NATO, the European Union and Israel in the field of cyber security and defense. The speakers from the EU and NATO acknowledged that progress has been made over the past years but that recent developments show that deeper cooperation with international partners is key as well as finding ways of potential cooperation and rapprochement for the next years to come.